Edwin Lester "Ed" Shobert Jr.
"It was a pleasure to become acquainted with your family. ..."
ALTPHOTOAllCounty.jpg/ALTPHOTO EDWIN LESTER SHOBERT, JR.
Edwin Lester Shobert, Jr., 82, passed away on April 14, 2016 in Vancouver, WA from complications of Lewy Body Dementia. He was born on Nov. 2, 1933 in Ridgefield, WA to parents, Edwin Shobert, Sr. and Mattie Shobert. After graduating from Vancouver High School, he and his best friend joined the U.S. Marine Corps. Ed served as a Tank Commander in South Korea. After leaving the Marines, he attended Clark College and later graduated from the University of Portland, where he also joined the ROTC and was commissioned into the Air Force as a 2nd Lieutenant. While serving as a Pilot in the Air Force in Charleston, SC, he met his future wife, Susan Stennett, who was a Flight Attendant. They were married in Charlotte, N.C. in 1964. While stationed in Germany, their two children, Lisa and Scott, were born. Ed served in Vietnam with the 37th Aerospace and Recovery Squadron "Jolly Greens" where he flew helicopter rescue and recovery missions. 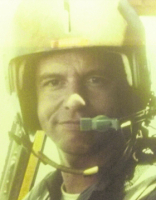 He was much decorated and earned two Distinguished Flying Crosses rescuing downed American Pilots in North Vietnam. His twenty plus years in the Air Force allowed him to travel the world. He flew C-130 and C-5A Galaxy transport aircraft. He was also assigned to transport President John F. Kennedy's vehicles and personal belongings for State travels. Ed retired from the Air Force as a Major and moved home with his family to Ridgefield. 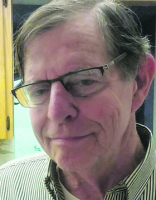 He was a partner at Mulligan and Associates Real Estate Appraisal Company until he retired. He continued his passion for flying with his YAK 52 and had just completed the construction of an RV7, which he never had the opportunity to fly due to a stroke. His need for speed didn't stop with flying airplanes; he took up auto racing and was very successful locally. Ed is survived by his children, Scott (Michelle) Shobert, Lisa (Scott) Hiam and Matthew Shobert; grandchild, Greyson Shobert; and sister, Claudia Shobert. He was preceded in death by his wife, Susan. A graveside ceremony will be held Fri., April 22 at 2p.m. at the Ridgefield Cemetery, 956 Cemetery Rd., Ridgefield, WA. In lieu of flowers, donations can be made to the SW Washington Humane Society.